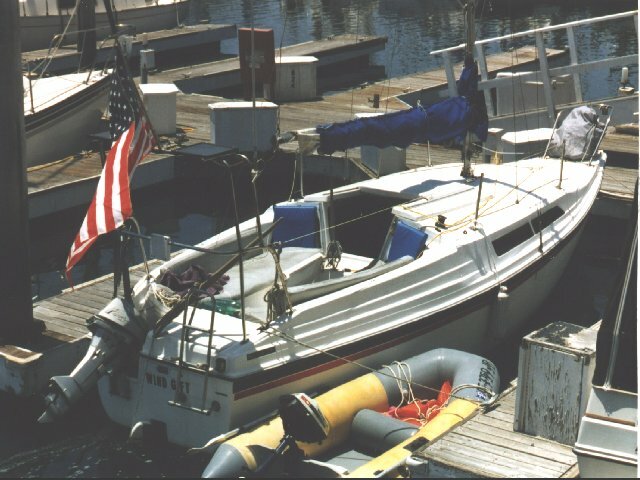 What kind of a boat -Would a seasoned seadog choose to live on, if he had over 20 years of sailing experience to draw from, on virtually everything that floats? A boat can be many things to many people. For me, it has to be home, but also a vehicle to go wherever I want to be, especially after I get to where I was headed. After sailing a 22' Venture from California to Costa Rica, I have had more than enough time for thought on this. The folks at MacGregor thought about this, too, and designed all the right answers into the ideal 26' puddle-jumping, sea-going, easy-handling and just plain pretty "Wind Gift" -My home on the water.